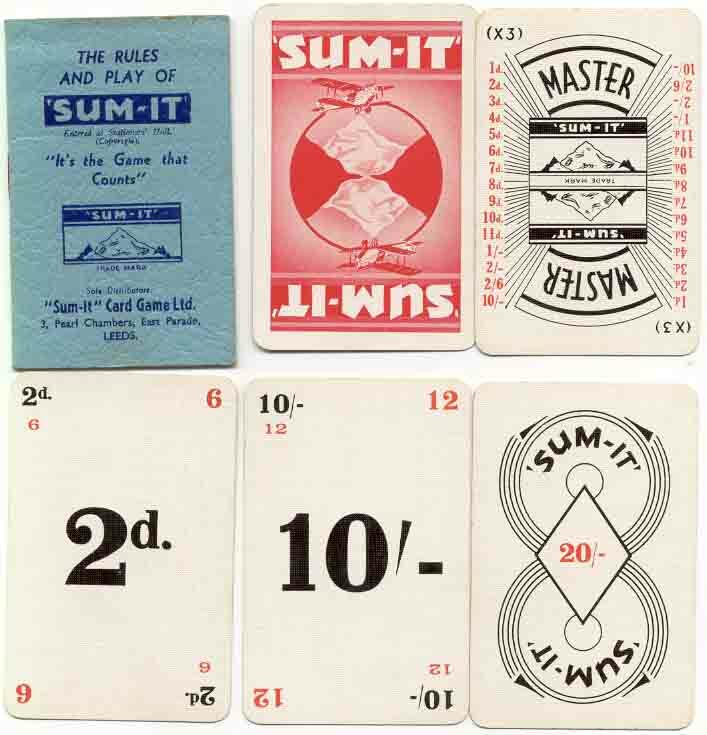 Sum-it Card Game is an educational game designed by Norman D. Vine and published by Sum-It Card Game Ltd., Leeds (UK), c.1935. Norman D. Vine was later to become the Lord Mayor of Leeds. 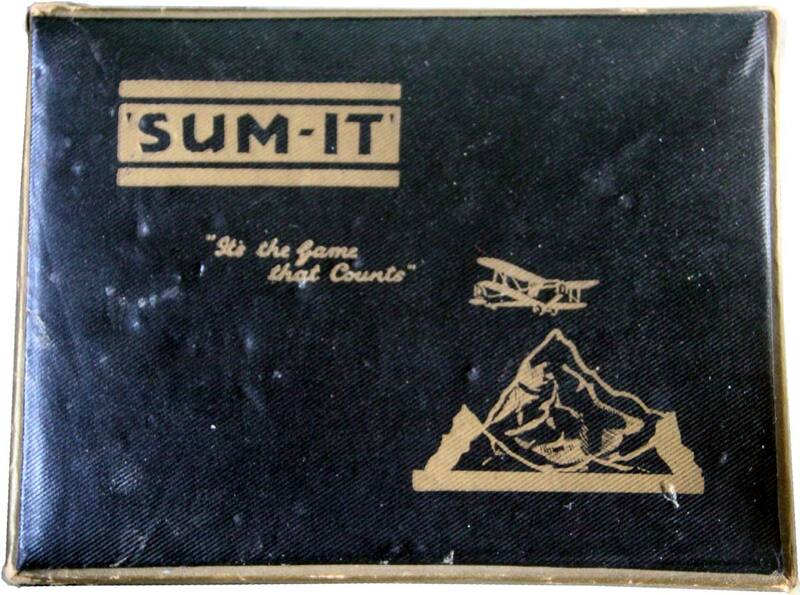 The first aeroplane flight over Mount Everest was in 1933 and this is what is depicted on the box and early backs of the cards. It seems highly likely that the game was named after this feat so maybe it was first published in around 1933 or 1934. Above: the title card describes the game as “interesting, exciting and educational”. The ‘Master’ card is a sort of wild card which can be used as any value. The image of a bi-plane flying over high mountains evokes the sense of awe and wonder associated with adventure, maybe reminiscent of the 1933 British Mount Everest expedition. 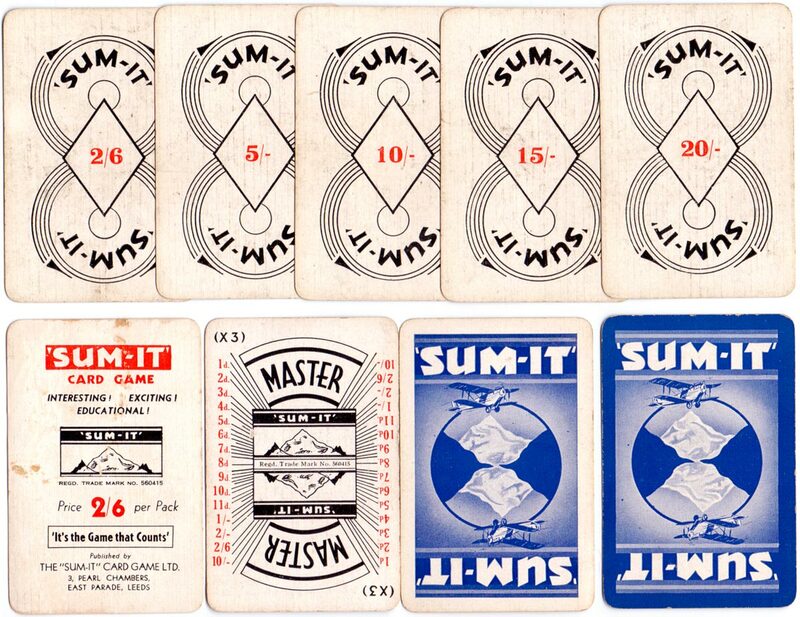 Above: ‘Sum-it’ published by Sum-It Card Games Ltd., c.1935. The game has 60 cards. Fifty-two cards represent different amounts of money. 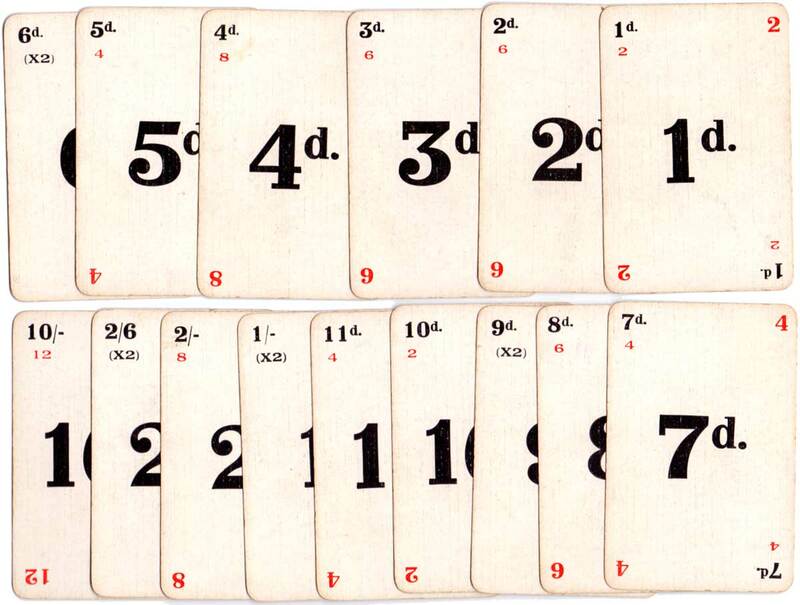 Eight cards are called ‘sum cards’ and represent a total sum of money. The object of the game is to gain seven cards which total one of the amounts on a sum card. This version uses the old pre-decimal currency system of pounds, shillings and pence. Later versions used decimal currency or a mixture of the two. The scoring is based on a penalty system. The winner of each round incurs no penalty but the other players must sum the penalty scores on each card (the smaller red figures) in their hands. The game has been published in hard or soft boxes and with red or blue backs. 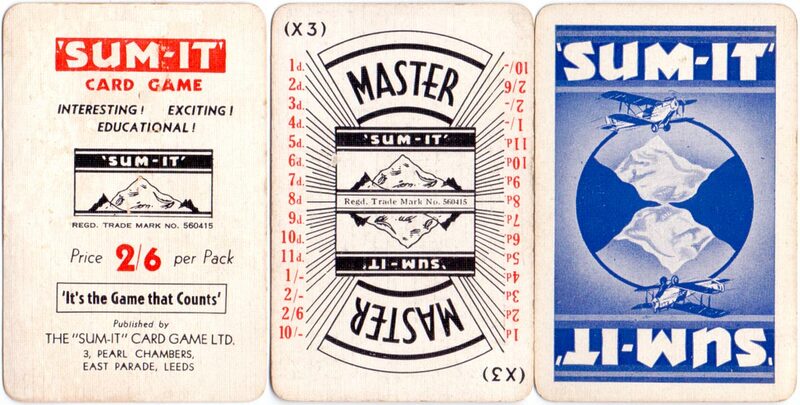 Above: double packs of ‘Sum-it’ contain one blue backed pack and one red backed with the same blue rules book. Image courtesy Rex Pitts.